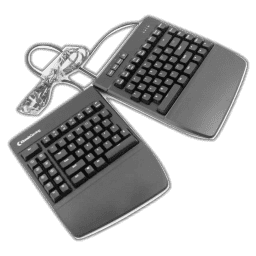 If the Kinesis name sounds familiar to you, it is perhaps because of Kinesis Corporation, Inc., which was formed over 25 years ago and had extensive research and development lead to ergonomic I/O devices. Perhaps the most popular from the company is the Advantage2 keyboard, which is priced out of budget for many users even today and was not easy for them to get the word out about. 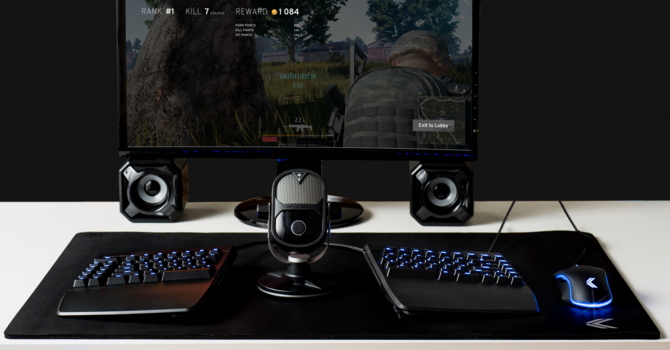 With the "gaming keyboard" market blooming in the recent past, Kinesis Gaming was formed in 2016 with the aim to provide PC peripherals that include their knowledge base on ergonomics and make for novel products that offer more—or at the very least different—options from the usual. A crowdfunding campaign followed soon after, and the Freestyle Edge we are taking a look at today has thus been brought to market recently. Thanks again to Kinesis for providing a review sample to TechPowerUp. The Freestyle Edge is in many ways an updated, upgraded Freestyle keyboard. The older Freestyle was a membrane keyboard that offered a split layout, and so we see such a layout used here with the new Freestyle Edge as well. We have seen another split keyboard before, and there are inherent advantages to this vs. a single-piece keyboard we will get into in more detail again in this review. The image above does a good job of showing just one of the many possible applications due to this configuration, and this alone should intrigue people. Another feature worth pointing out here is that Kinesis has gone with Cherry MX mechanical switches instead of the membrane switches on the Freestyle. In fact, even the extra keys here use mechanical switches from Cherry, something others tend to save money on by using membrane switches instead. Finally, Kinesis says there to be no need to install a driver with loads of onboard functionality being available, but there is also a built-in "SmartSet App" that furthers my interest. So let us begin the review with a look at the specifications below. 1.27 kg / 2.80 lbs.